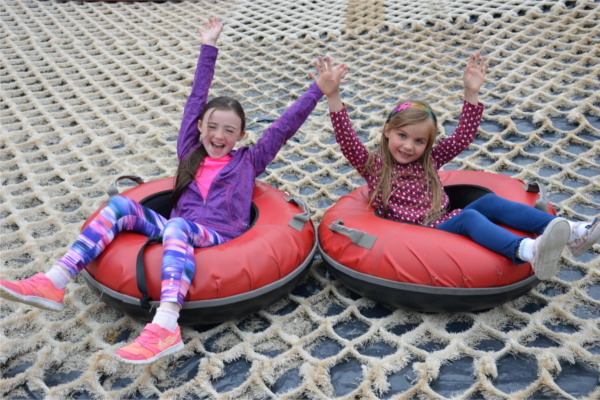 Set in woodland near the shores of Lough Neagh, Craigavon Golf Ski Centre at Silverwood, near Lurgan, is a great facility that boasts Northern Ireland’s only outdoor artificial ski slope, plus two golf courses and putting greens. 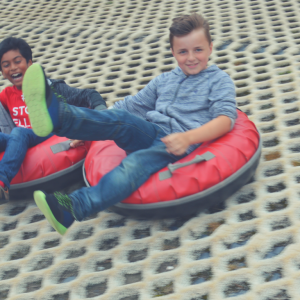 A 300ft main slope, nursery slope and snow tubing facilities ensure the whole family is catered for. 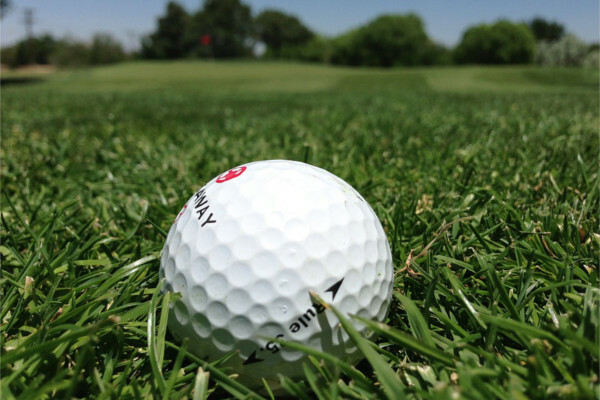 Two golf courses are set in mature parkland and offer many challenges. In addition there is two putting greens and a cafe on site. 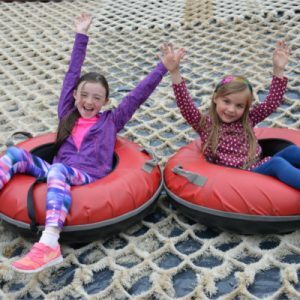 The site is complemented by an attractive clubhouse catering for the needs of the visitor which include changing facilities and a restaurant with covered terrace overlooking the ski slope and golf courses. 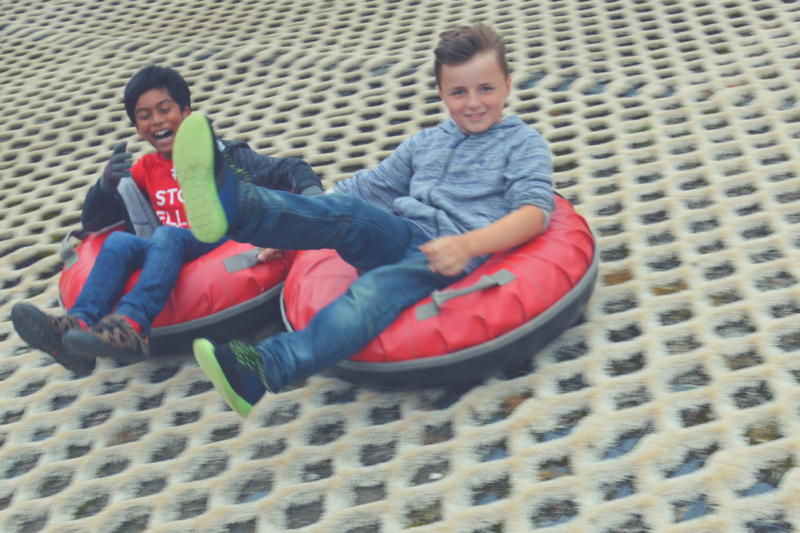 Please note that the ski slope opening times do not neccessarily reflect centre opening time. If you’re a beginner, or if you’ve never been to a dry slope before you’ll probably be wondering what to wear. This is our summary of what you’ll need. 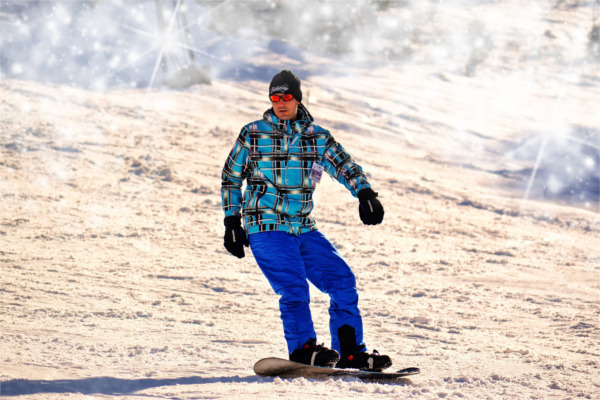 The number 1 rule for clothing on a dry slope is that no matter how hot it is, you must always wear long sleeves and gloves. This is for safety reasons. Contrary to popular belief, the socks you wear for skiing don’t have to be thick, but they do have to be as long as possible to help to avoid getting blisters. Don’t be tempted to wear two pairs of socks as this causes extra rubbing. Ideally we would recommend a pair soft shell trousers because being outdoors it can sometimes be cold and wet, however as an alternative a pair of waterproof jogging bottoms are reasonable. Trousers that are not waterproof, such as jeans are not suitable as you would get very cold and wet. And you would also look silly. Trousers you wear must be long – if you fall over and are wearing three quarter length trousers or shorts you can get burns from the slope (similar to getting rope burn). When it’s cold outside bring a jumper or fleece, but not too thick as you’ll be doing enough physical activity to keep warm. Ideally your jacket should be an anorak style waterproof jacket so that if it rains you won’t get too wet. Jackets should not be too long so that they do not restrict your movement. Gloves must be worn at all times on lessons, and should ideally be waterproof. Not too expensive – nursery slope lifts have a tendency to tear gloves so don’t bring any you’re too attached to. Rental of ski boots is included in the price you pay, but you can choose to bring your own if you have them. The boots come in a wide range of sizes. Rental of skis is included in the price you pay, and again you can bring your own. We suggest that if you have an old pair of skis that haven’t been used for a few years that you ask your instructor to take a look and make sure they’re ok before you start skiing on them. Some slopes make the use of helmets mandatory, and on those slopes a ski helmet must be worn on all lessons. No exceptions – even our instructors have to wear ski helmets at all times on those slopes. This does not apply to all slopes, and we will let you know when you book. Rental of helmets is included in the price you pay, or you can bring your own. Alternative types of helmets (for example bike helmets) are strictly not allowed. Rental of ski poles is included with the price you pay, but for most lessons you won’t even need them. If you aren’t sure whether you need them or not, the answer is that you don’t. You don’t need goggles but it’s up to you if you want sun glasses. This depends on how sunny it is on the day of your lesson. In the height of summer we’d recommend that you do use suncream. Where is the Golf & ski Centre? 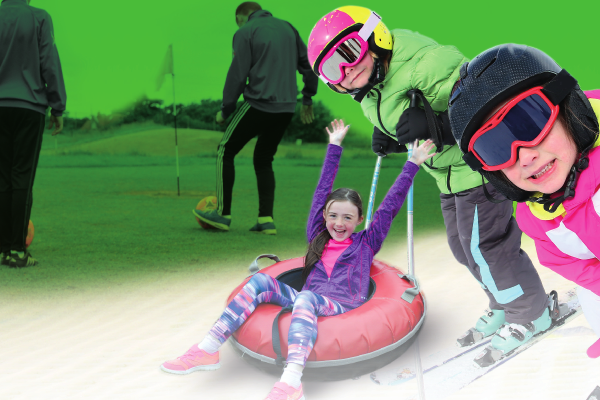 The Craigavon Golf and Ski Centre is just 5 minutes from Junction 10 of the M1 or see the Contact Us page for full details. Lurgan Train Station is about a 15-20 minute walk or a 4-5 minute taxi journey. How much does it cost to hire equipment? 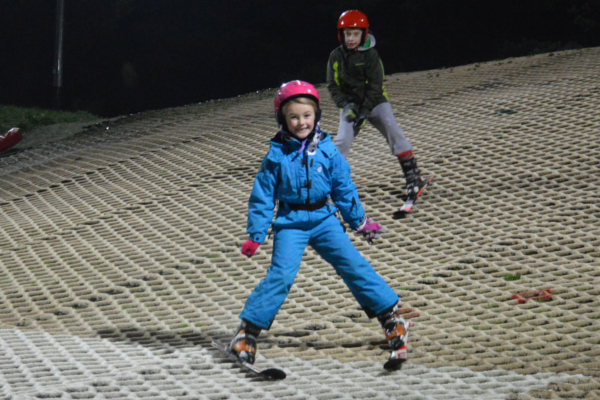 Skis, boots and board hire is included within the cost of admission. Do I qualify for a discount if I have my own equipment? I am not taking part but where can I come and watch my family/friends? Alpine lodge Restaurant offers fantastic views of the main slope. You can even venture out on to the balcony to truly interact with the action on the slope! How long and steep is the slope? The main slope is 80 metres long by 18 metres wide and is approximately equivalent to a blue and red run from the top in a resort. There is also nursery area 30 metres long, 16 meters wide. And a tubing run 45 meters long. 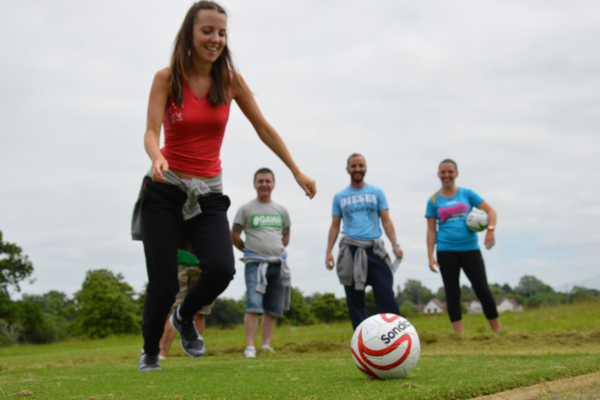 What is the recreational standard? The ability to use the lift, perform controlled linked turns, control speed and direction, and stop confidently. 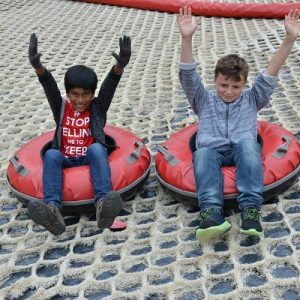 Can I teach my friends / family to ski? How many people in a group lesson? There is a maximum of 12 people per instructor in a group ski lesson, a maximum of 6 people per instructor in a group snowboard lesson. Can I book private lessons? Yes, private ski lessons and private snowboard lessons are available for the more personal touch for beginners and experts. These are available for 1 person up to a maximum 12 people per instructor. 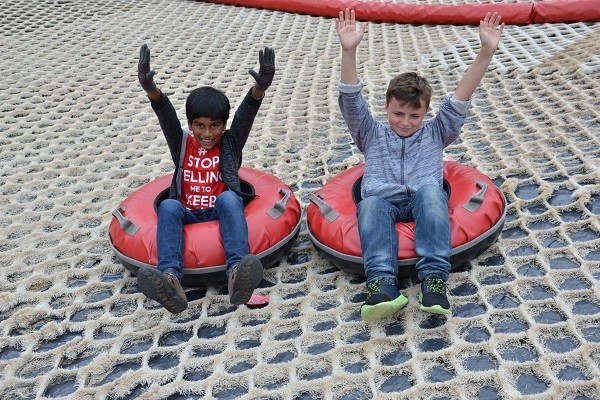 To avoid disappointment it is recommended that all activities are pre-booked. 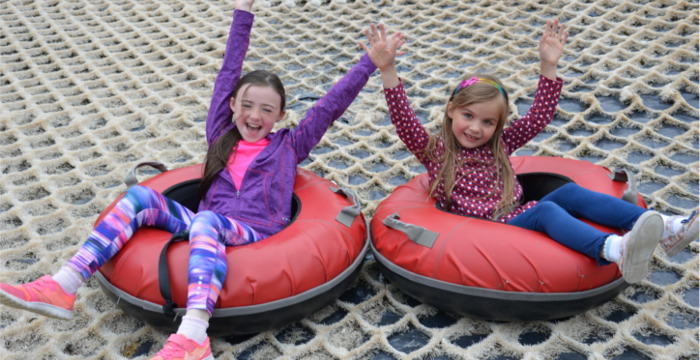 You can book online or by phoning the Golf & Ski centre on 028 38326606 or visiting reception. Is there access for disabled visitors? Disabled visitors are most welcome. We have facilities for disabled guests throughout the golf & ski venue.